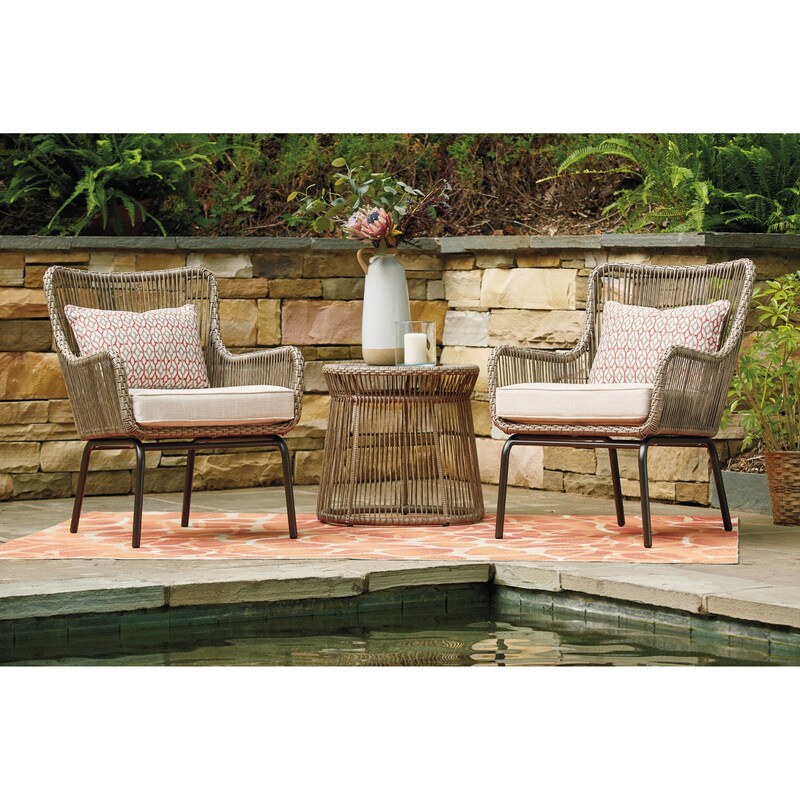 Amplify the look and feel of your outdoor space with this stunning set, which features handwoven resin wicker and seat cushions for your comfort. Constructed with rust-proof aluminum frames, this set is built to weather the outdoors. The Cotton Road 3-Piece Chair and Table Set by Signature Design by Ashley at A1 Furniture & Mattress in the Madison, WI area. Product availability may vary. Contact us for the most current availability on this product.